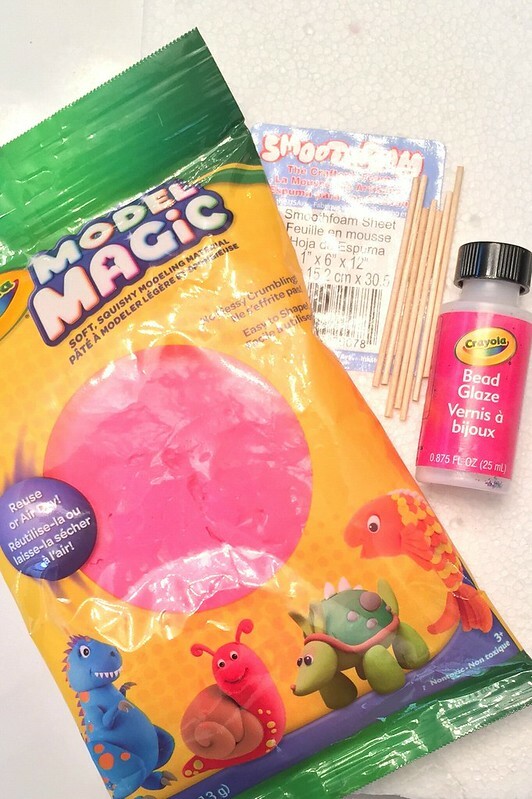 Mother's Day is coming, time to get crafty. Mom loves jewelry so why not get the kids to make her some. 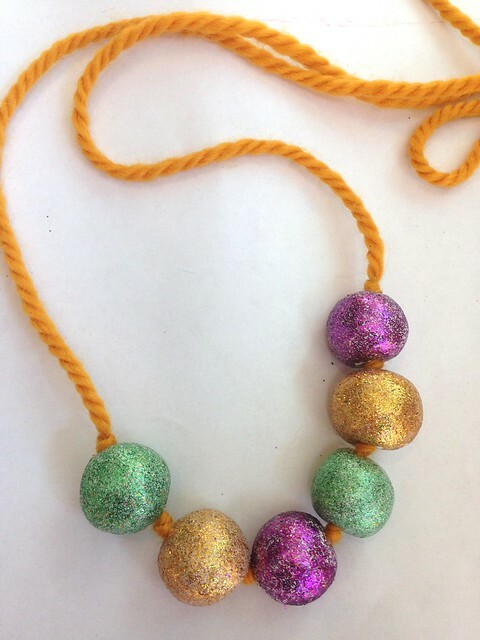 The easy glitter covered air dry beads can be gussied up fancy style by older kids or simply rolled in glitter by the younger set. The possibilities are endless. Pinch off small pieces of clay and roll into a ball. When you have a ball formed sprinkle glitter in your hands and continue to roll your ball. 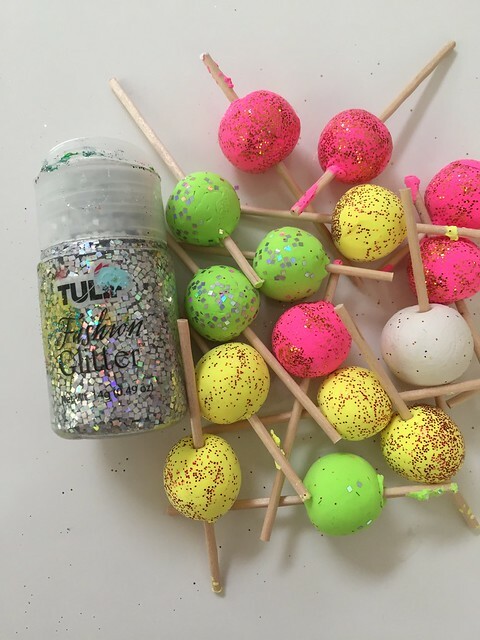 This will embed your glitter in the bead. While the clay is still soft stick a small bowl through the center so there will be a hole when the bead hardens. 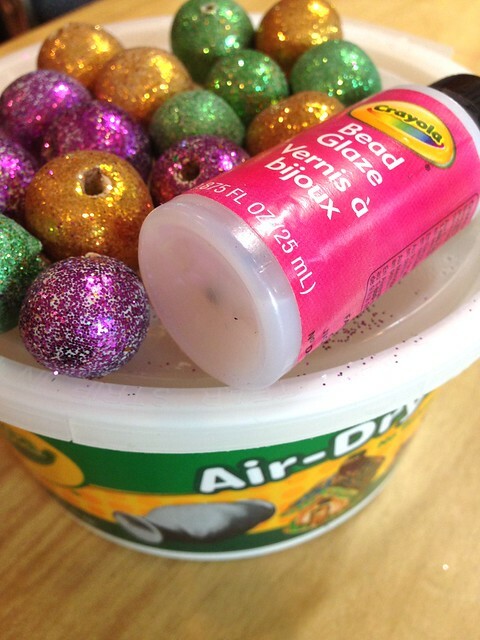 After your beads have hardened use a top coat to keep your glitter in place and remove the dowels. 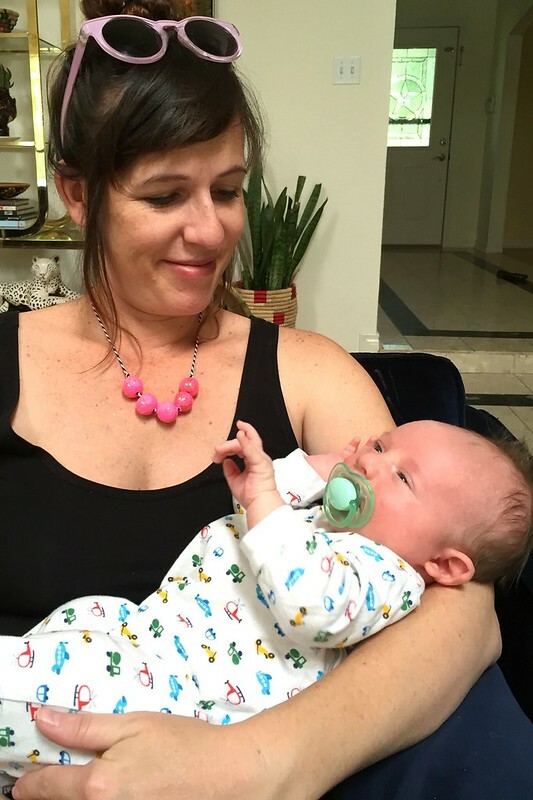 String your new necklace and give to mom. 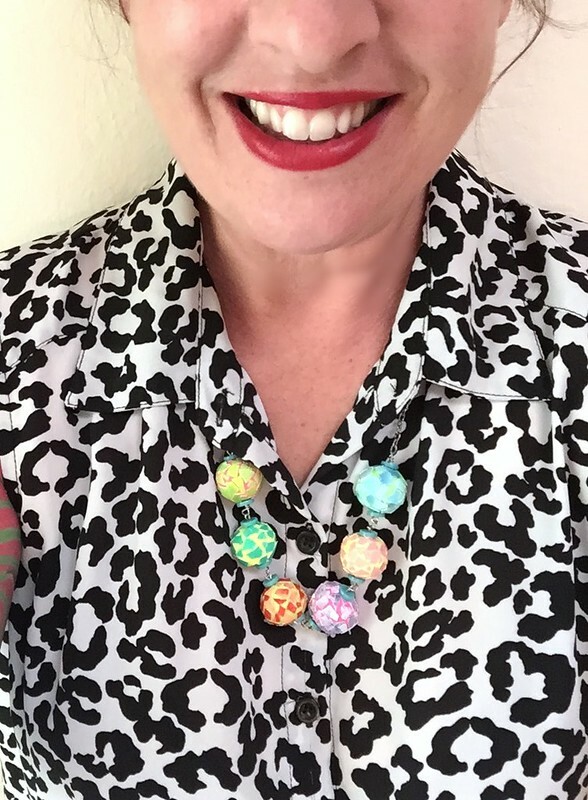 Remember you can change up the style of the necklace anyway you want - use glitter, Easter egg shells, crystals, cover with Puffy Paint polka dots. As long as a kid made it, mom is going to love it. Amazing Happy Mothers Day Idea .. My mother would definitely love it! Thank you! !